Hello everyone and welcome to Food Star Friday! I am very excited about starting a new chapter of Bobbi’s Kozy Kitchen and I hope you enjoy it. I know I love cooking different chef’s recipes because it not only keeps me on my toes, but it helps me to think outside my own box and learn new ways of doing things. 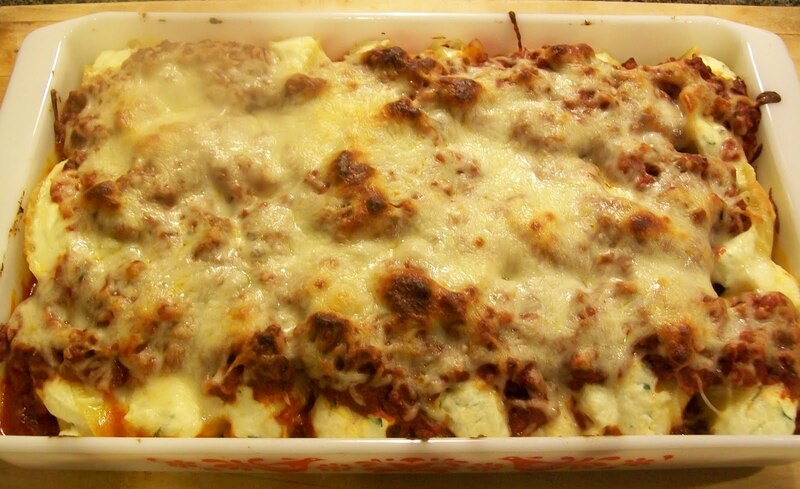 Today’s recipe is Short Rib Lasagna courtesy of Giada De Laurentiis. This recipe was one that aired on her Father’s Day episode and she said that this was one of her husband Todd’s favorite dishes. I watched her make it and it looked so good that I had to try it. I didn’t want to do the same old thing for Father’s Day, I wanted something different. Since my father loves Italian food and Kevin loves short ribs so it seemed like a match made in heaven to me. This recipe does take some time since you have to cook the ribs low and slow to get them as tender and juicy as possible. So that to me is the only set back. But this wasn’t just a regular weekday meal. That is when my Rachael Ray alter ego comes out and I want things cooked quick with as little stress and time as possible. This was Father’s Day so it was well worth it! I am sorry the picture isn’t very good, I can tell you the lasagna WAS! When I served it there was barely a possitive ID check, I mean it! I had to pull my hands back and make sue all my fingers were there! So I would say this one was a hit, don’t you think so? Please make sure to leave me a comment and let me know what you think about Food Star Friday. In a large dutch oven or heavy bottomed stock pot, heat the oil over medium high heat. Season the ribs with 2 teaspoons salt and 1 teaspoon pepper. Add the ribs to the pan and cook until brown, about 4 minutes each side. Remove the ribs and set aside. Add the onions, garlic, and rosemary. Season with salt and peppe. Cook until the onions are translucent and soft, about 5 minutes. Increase the heat to high. Add the wine and scrape up the brown bits that cling to t he bottom of the pan with a wooden spoon. Add the beef broth and ribs to the pan. Bring mixture to a boil. Reduce heat to a simmer, cover the pan, and cook until the meat is very tender, 2 1/2 to 3 hours. Remove the ribs and set aside to cool enough to handle, about 20 minutes. Discard bones and cooking liquid. Using 2 forks, shred the meat into 2 inch long pieces (to yield approximately 2 1/4 cups shredded meat). In a medium heavy-bottomed saucepan, bring the milk and cream to a simmer over medium heat. Reduce the heat to low. Add the cheeses and whisk until melted and the sauce is smooth. Remove the pan from the heat and stir in the spinach, basil, and garlic. 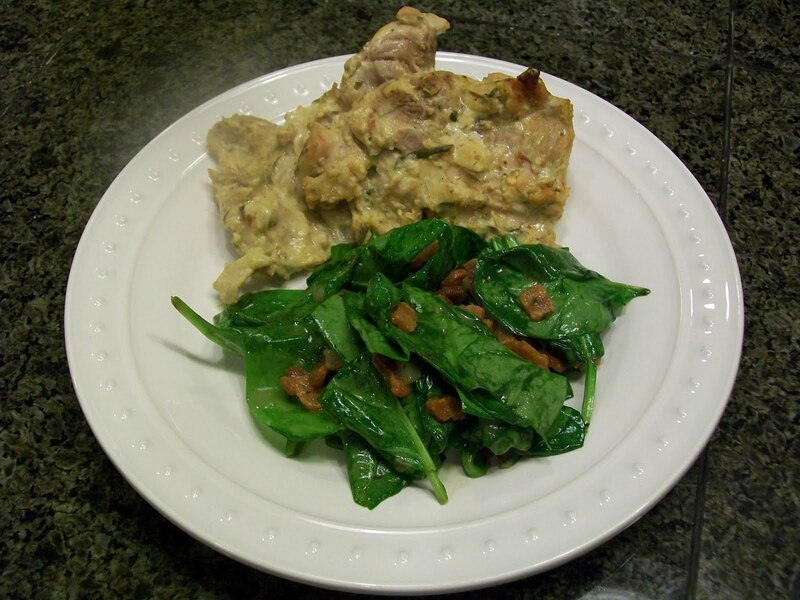 Place the shredded meat in a medium bowl and pour the spinach mixture on top. Add the salt and pepper. Using a fork, mix until combined. Taste and adjust the seasoning with salt and pepper, if needed. Bring a large pot of salted water to boil over high heat. Add the pasta and cook until just tender but still firm t the bite, stirring occasionally, 8 to 10 minutes. Drain and set aside. Place an oven rack in the center of the oven. Preheat the oven to 400 degrees F> Butter a 9 by 13-inch glass baking dish. 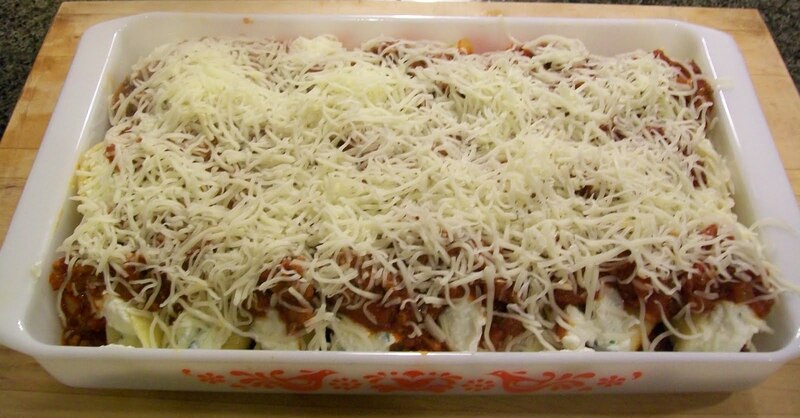 Spread 1 cup marinara sauce in the bottom of the prepared baking dish. Lay 4 noodles flat on dry work surface. Spread 1/4 to 1/3 cup of the filling mixture evenly along each noodle. Roll up and place seam-side down in the baking dish. Repeat with the remaining noodles and filling to make 12 lasagna rolls. Spoon remaining marinara sauce on top and sprinkle with Parmesan. Drizzle with olive oil, bake until the lasagna rolls are heated through and the cheese is beginning to brown, about 25 minutes. This recipe is one that I have used for a few different things. It was actually one of the first recipes I ever wrote to my own liking. I combined 3 different recipes to get it. It was kind of confusing. No wait……did I already list that?…..no I need to double that?……how many people will this feed?…..holy crap what was I thinking??? Ya, that is pretty much how it went. When I first started out I got confused very easily. HA who am I kidding? I STILL get confused, it is just part of my charm. I was really excited to dust this bad boy off. I have never made it for Kevin and it is a nice comfort food kind of home cooked meal. Lately I have been more about trying to cook healthier and eating more fish and chicken. Don’t get me wrong, you can make this healthier, and I probably should have off the bat. But I wanted Kevin to taste the original before I started changing it up on him I guess. This was also a recipe that I knew everyone would eat. My Dad is not a big fish lover, well actually he just flat out doesn’t like fish. But remember I got him to TRY the Crabby Mac so at least he gives a bit or rather a bite once in a while. HE was very happy to see this meal. I mean Italian right? You know he was a happy camper! Like I said, you can “healthify” this meal fairly easily. 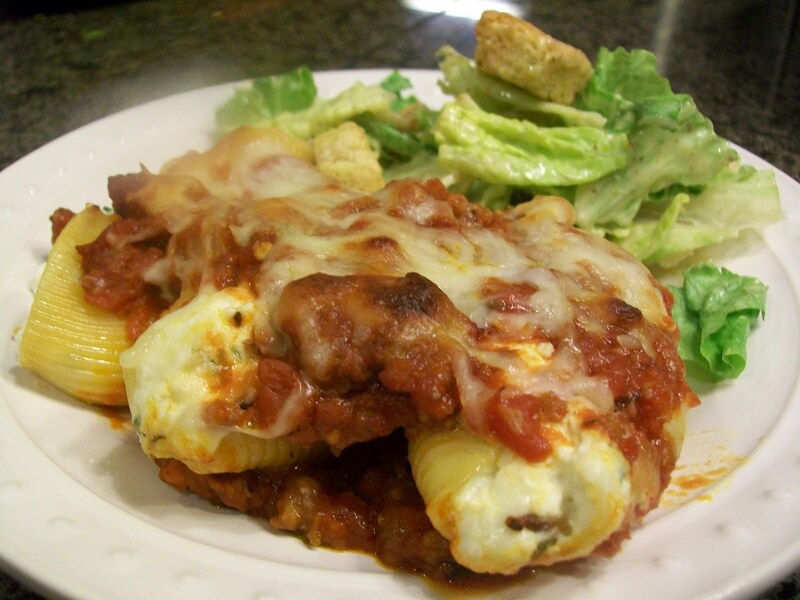 Substitute lean turkey for the ground beef and low fat or fat free ricotta. Also if you can find the shredded mozzarella in low fat that will help too. Bring a large pot of water to boil over high heat. Generously salt the water and add the pasta. Cook just shy of al Dente (a couple minutes short of what the package says). Drain pasta and drizzle with olive oil to prevent the shells from sticking together. Heat a large skillet over medium-high heat and add the 2 tablespoons of EVOO, eyeball it. Add the ground beef and break it up with a wooden spoon into small bits, cook till brown. Add the onions, and garlic and cook until the onions begin to become translucent, about 5 to 7 minutes. Add the tomato paste and stir into meat, then add the crushed tomatoes, oregano, crushed red pepper flakes, and salt and pepper to taste. Heat to a bubble then turn the heat down to simmer and cover the pan. In a bowl mix the ricotta, Parmesan cheese, eggs, parsley, and salt to taste. Stir until mixed. Spoon half of the meat sauce into a 13 x 9 casserole dish, spread it evenly across the bottom. 1 at a time carefully spoon a tablespoon of the cheese mixture into a shell and place on top of the meat mixture in the casserole dish. Once the shells are filled top them with the remaining meat sauce, then sprinkle with the mozzarella cheese. 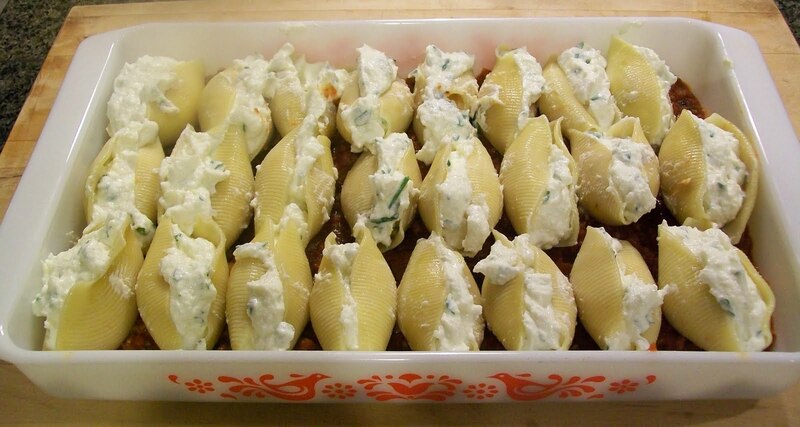 Place shells in the oven on the middle rack and bake for 30-35 minutes until cheese is bubbly and browning. Remove from oven and let stand 10 minutes before serving. This recipe is such an easy one. But it looks so fancy it will make you look like a professional chef. I mean just the sound of it. Fish en Papillote. Really it is just the French way to say “wrapped in parchment”. But it sounds much more romantic in French right? This is a perfect date night meal. The fish and veggies all cook together in their little parchment paper envelopes, it makes for a beautiful presentation. Just add some wine, candles, and WALA it’s a date! I have made this recipe in different versions with different fish several times. I love the fact that the fish steams with the vegetables in one neat little package with whatever you chose to include. I used thyme as my herb, but you could do this with salmon and use dill, or chives, or tarragon they are all so good! You can also mix the vegetables up using asparagus, summer squash, etc..Then when you are done….clean up is easy peasy lemon squeezy! You can use foil instead of parchment paper but you will have to leave out anything acidic such as lemon, wine, etc… they will react with the metal of the foil and make the meal taste awful. Parchment is supper easy once you get the hang of folding it into the “envelope” and pssstttttt don’t tell, but I cheat a bit by using a paper clip to seal the very end. Just make sure to use your hot pad holder to remove that hot clip when you take the fish out of the oven! In a bowl mix together the onion, zucchini, carrots, and garlic. Drizzle with olive oil and season with salt and pepper to taste. Toss to combine. Salt and pepper the fish fillets and set aside. Tear off 4 large squares of parchment paper. Place a handful of the vegetable mixture on the parchment paper, then top with 1 of the fish fillets. Top fish with 2 slices of lemon, a pat of butter, several stems of thyme, and drizzle a couple tablespoon of white wine over it all. 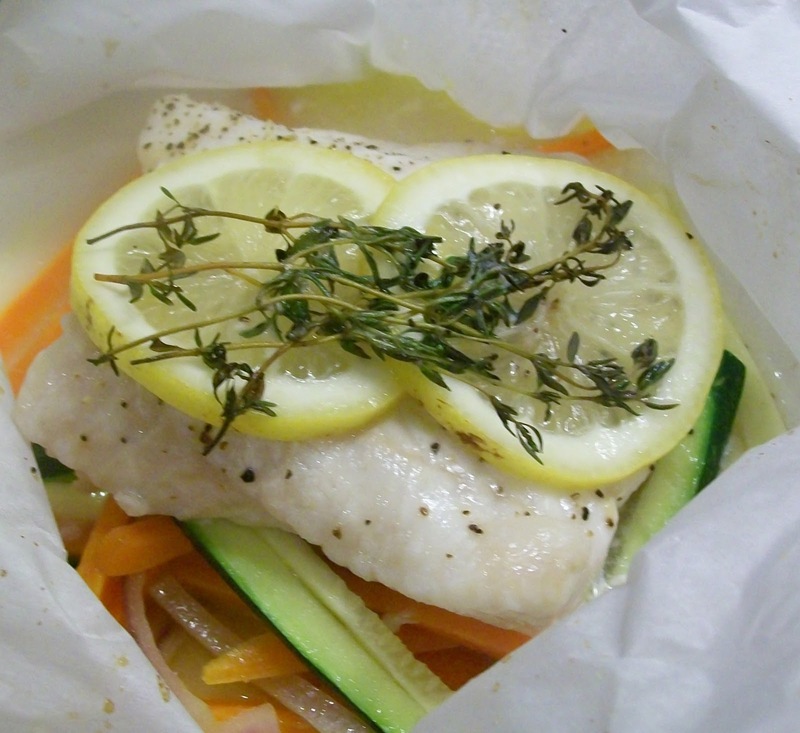 Fold parchment paper over the fish to meet the edges together. Begin folding the paper around the edges tightly in 1/4 inch folds to create a half moon shape. Make sure you press as you fold the paper to get a tight seal to keep the steam from escaping. When you come to the end fold the piece under (this is when I use the paper clip).Arrange the packets on a baking sheet. Bake until the fish is cooked through, about 10 to 12 minutes depending on the thickness of your fish fillets. To serve, cut open the packets with a small X in the center and carefully tear the paper open in triangles and place directly on a plate. I never used to eat shellfish really. It just wasn’t something that jumped off a menu at me. Kevin was the one that got me hooked on it. We had gone to a little casino we have here locally and they have a seafood restaurant in it. You can order a pound of steamed clams, mussels, crab, etc. You can also get many different types of oysters on the half shell. THAT was a tough one for me to swallow, no pun intended, but he coaxed me into it and after trying a few different types I fell in love with Kumamoto oysters. They are small and sweet and oh so yummy! They of course are some of the most expensive you can buy but since we don’t do it very often it is a splurge that is well worth it. Mussels were another thing that he had to work on to get me to try. For some reason the jump from clams to mussels seemed so huge. But mussels are more tender and sweeter and I am so glad I tried them. Now they are some of my favorite seafood. Once I learned I liked them I wanted to come up with a recipe that was something other than just white wine and shallots. As I have mentioned, several times, we like things on the spicy side in this house. So when I saw a show on Food Network that mentioned JCT Kitchen and Bar in Atlanta, GA and their recipe for what they called “Angry Mussels” you can imagine how quickly the show had my full attention. Their recipe called for lots of bacon and fresh chilies YUMMM I knew this was putting me on the track I wanted to be on. So off I went to the store to get what I needed. What is really nice is that mussels are relatively inexpensive. I paid $4.49 a pound for mine. The most expensive part of this recipe is the white wine and I am not adverse to splurging when it comes to finding a very tasty wine that will concentrate some awesome flavor in my food. Santa Margherita is my favorite Pinot Grigio on the the market. At a little over $20 a bottle it is not a bad deal. Especially when it means that you will have epic yumminess with the finished product. 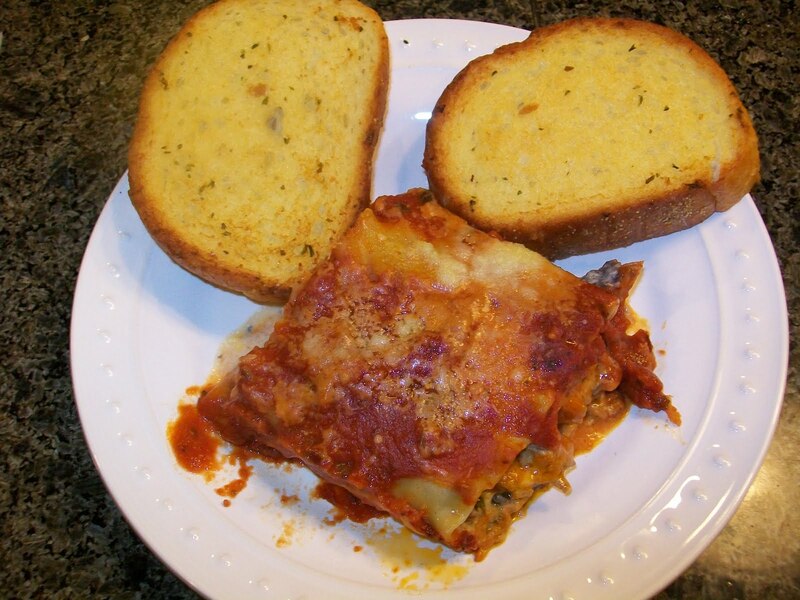 This recipe is super simple, nicely priced, and wonderful to eat so give it a try!! Scrub mussels one at a time to remove beards and any grit that might be on them. Discard open mussels that do not close with a few taps of your finger, and any with cracked or broken shells. Place the mussels in a bowl of cold water while you prep the other ingredients. Heat the oil in a large wide mouth pot over medium-high heat. Add bacon and cook until the fat is rendered and the bacon is starting to crisp. Remove the bacon with a slotted spoon to a paper towel lined plate and reserve. Add the onions, garlic, chilies, red chili flakes, and cracked black pepper to taste. Saute 3 to 5 minutes, till onions begin to turn translucent. Deglaze the pot with the white wine and bring to a boil. Drain the mussels and transfer to the pot. Cover the pot and continue to cook until mussels open, about 5 to 10 minutes. Remove from heat. 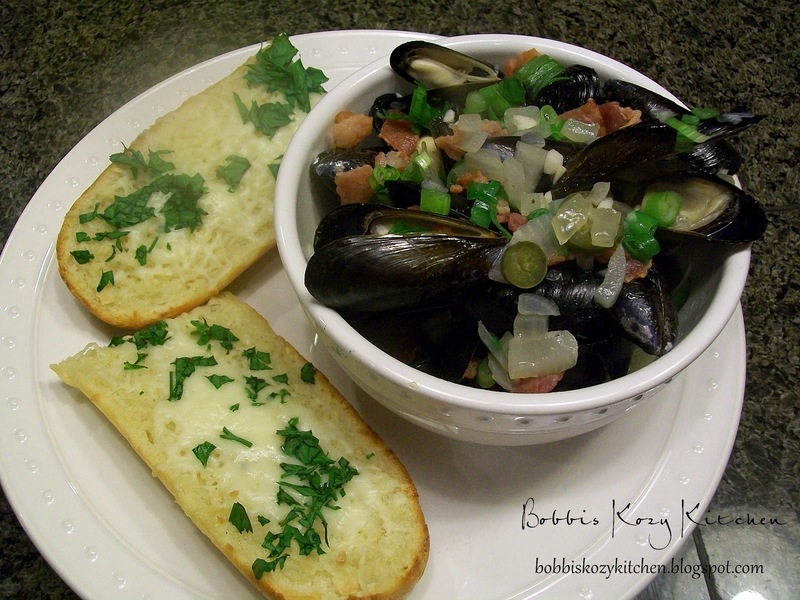 Toss the reserved bacon and green onions with the mussels and transfer to a serving bowl. Serve immediately. Place the sliced baguette on a baking sheet. In a small bowl mix the butter, garlic, onion powder, and salt to taste. Spread the butter mixture evenly on each piece of bread. Bake until golden, about 10 minutes. Remove from onion and sprinkle with cheese and parsley. Return to oven and continue to bake for 3 more minutes. Slice and serve. I have to admit when I first heard of crab or lobster in mac and cheese I was a bit hesitant about the idea. I love crab and I love mac and cheese, but putting them together? Hhmmmmm. However so many people I talked to told me that it was great that I decided I just had to give it a try. The thing I love about my family, well not the ONLY thing but one of them, is that they are pretty much game for whatever I want to make. Even Jessi, my little Miss Picky, will try them. She makes no promises that she will eat more than one bite, but very rarely does she totally dislike anything of the recipes I try. I even got my Dad to take a bite of this. He doesn’t like fish, so it wasn’t his cup of tea, but he did give it a taste. I was proud of him! Kevin is my best eater, he supports whatever meal I want to make. He never tells me something is good if it isn’t because he knows that is no help, but he really does like just about anything I make for him. Gotta love a receptive audience right? The first time I made this I used Rachael Ray’s recipe for Crab Cake Mac N Cheese. You can check out the original recipe on my other blog Bobbi Renee and Rachael Ray. It was really good, but I just felt there were a few things I wanted to “tweak” so this recipe was born. If you love crab you will love this recipe. I sent quite a bit of the leftovers in to work with my son the next night and he said all of his coworkers demolished it! Bring a large pot of water to a boil, add salt. Add the pasta and cook just shy of al dente. Drain and reserve. Heat a medium sauce pan over medium-high heat, add 2 tablespoons of olive oil and 1 tablespoon of butter. Add the celery, onion, red pepper, garlic, bay leaf, thyme, lemon zest and juice, and salt and pepper to taste. Cook until tender, about 8 minutes. Add the crabmeat to the veggies and season with the seafood seasoning. Stir to combine then remove from the heat. In a medium sauce pot, over medium heat, melt 3 tablespoons of butter and then whisk in the flour. Cook for a minute, then whisk in the white wine, cook for another minute and then add the milk. Bring to a bubble. Season the sauce with salt, pepper, and the nutmeg. Cook for a few minutes, until the mixture coats the back of a spoon. Add the mustard and the cheese and stir in a figure 8 motion. 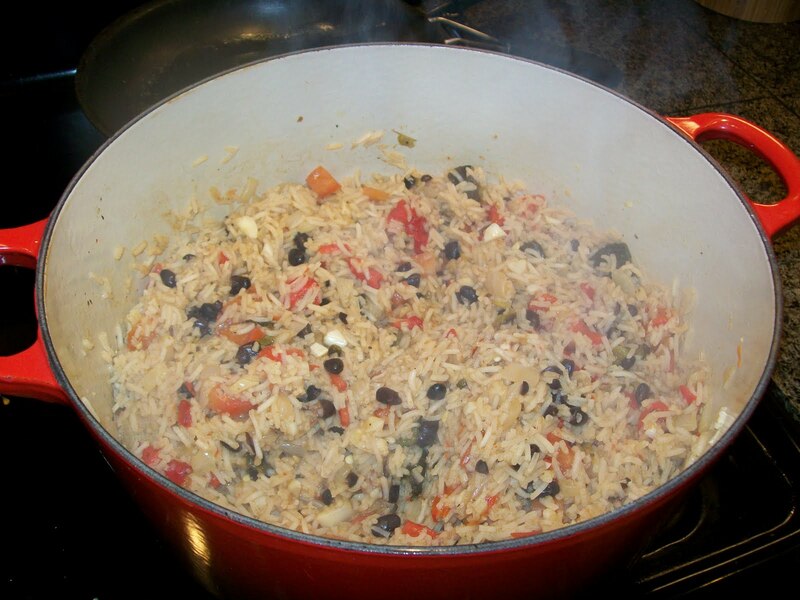 Add the pasta, veggie and crab mixture, and the sauce to a bowl, combine, and transfer to a casserole dish. Melt a couple of tablespoons of butter in a small saucepan over low heat then add the 3 tablespoons of hot sauce, stir until warm throughout. Add the panko bread crumbs and stir/toss to evenly coat the crumbs with the hot sauce mixture. Cool the crumbs then add the parsley and 1/2 cup Parmisian cheese. 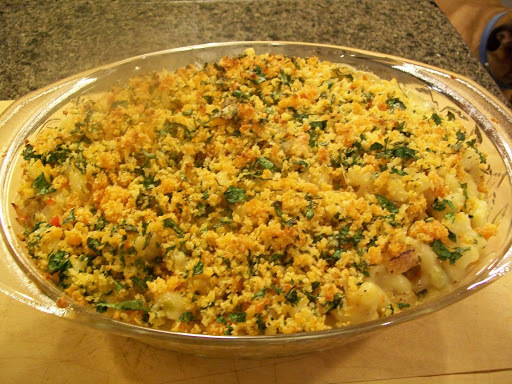 Top the mac and cheese with the crumb mixture and bake until brow, about 10 minutes. This is another recipe that I have worked on over and over trying to fine tune it the way I want it. 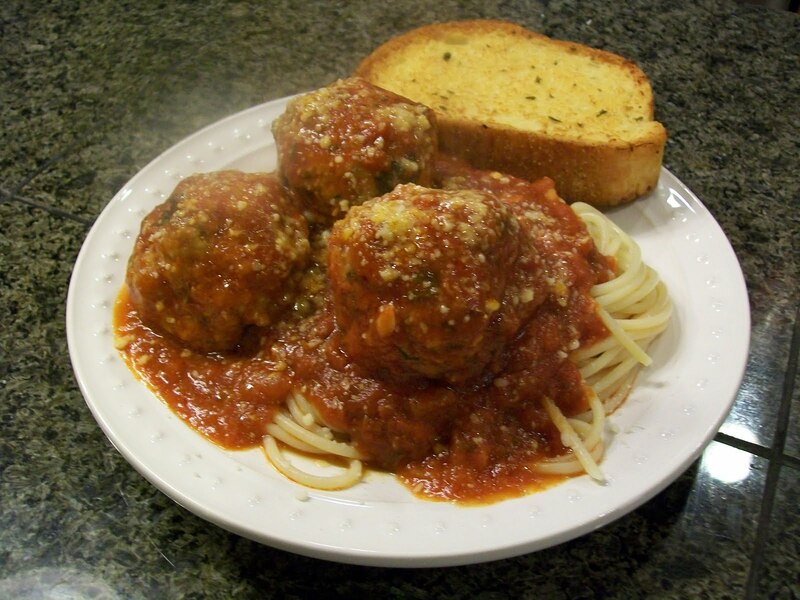 I know there are a million spaghetti and meatball recipes out there but I wanted mine to be just that, mine. When I was a kid my Dad and I both loved Italian food and Mexican food so much. My Dad used to say that if he had been born Italian or Mexican he would be (these are his words) “Two ax handles across”. We drove my mother crazy because we were huge carb junkies. Veggies smeggies give us pasta and we were happy! Luckily I have learned to love veggies but my love for pasta is just as strong as it was when I was a kid. Growing up my Dad would always make his spaghetti with Ragu and then add some dry Italian spice mix to it along with maybe some salt and pepper. It wasn’t much but just that little bit of “doctoring” the recipe made it better and made it his own. I continued along the same method into my adulthood, although I used Prego instead of Ragu. I guess switching brands made me feel like I was making it my own I am not sure. Then I started to get really fancy and mix two different sauces together. Ohhh WOW right? I know. But once I had my gastric bypass and really began this journey into really coming up with my own true recipes. Spaghetti and meatballs was high on my list. Marinara sauce on its own is very healthy and if you want to make the meatballs lower calorie and healthier use ground turkey and turkey sausage. I will rotate how I make it at home to soothe the savage red meat beasts I have here. I can get away with turkey for awhile and then I can see in their faces that they need some red meat. Trust me I am using turkey more and more *wink* they are starting to not know the difference. Of course if Kevin is helping me cook I can’t exactly sneak turkey in on him. In a large bowl mix the ground beef, sausage, bread crumbs, oregano, garlic, parsley, eggs, Parmesan cheese, salt and pepper. Roll into balls and drop into the sauce. Cook 40 minutes in the sauce. With all of the great weather we have been having here in Washington I have been so excited about being outside and grilling instead of cooped up in the house over a stove. We have a horseshoe pit and our backyard is gorgeous when it isn’t raining. I love sunshine, good food, and the people I love all in one place at once. I want to take advantage of every second of this awesomeness! As you know we already made BBQ chicken this past week, and I have a burger recipe coming too, but I decided I wanted to do something totally different than your “typical” BBQ dish. I took a look at what I had in the fridge and the little voice in my head told me that this just needed to be made! Yes, as I am sure you have gathered, I do talk to myself quite a bit. I guess it can be a bit unnerving for those around me at times. I was a little hesitant to make this dish only because I know Jessi doesn’t like mustard very much and I wasn’t sure if Kevin’s son Dylan did. But the thought of it made my mouth water and that alone won over any crazy non mustard eating kids. So I dived right in to setting everything up for this meal. I had to do a tad bit of cooking for the side dish though. I had baby spinach and remembered this salad my Mom used to make. So I dug through my recipes and found it. I was such a happy camper! The reviews came in and even the non mustard eaters loved it. I think the lemon helps to balance the mustard flavor and the herbs just add even more tastiness. The salad was gone almost before it hit the bowl! Combine the lemon zest, juice, Dijon mustard, rosemary, thyme, crushed red pepper flakes, and a couple of tablespoons of EVOO in a small bowl. Place your chicken in a shallow dish or pan. Salt and pepper the chicken and generously paint both side of the chicken with the mustard mixture. 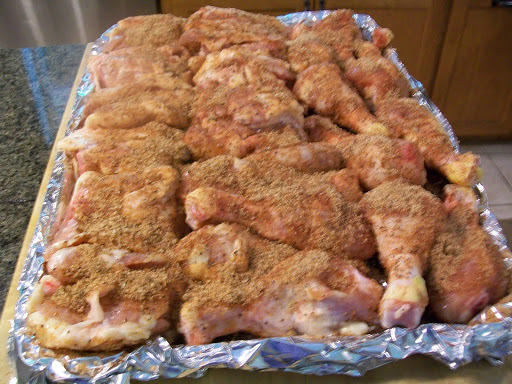 Cover chicken and let sit at room temperature for 2 hours, or overnight in the refrigerator. Preheat grill to medium to medium-high heat.Cooking times will vary depending on what type of grill you are using. Baste the chicken frequently with left over marinade. In a large skillet cook bacon over medium-high heat until crisp. Transfer to paper towel lined plate with slotted spoon to drain. Discard all but 2 tablespoons of the fat. In the remaining fat, cook shallot for 1 minute. Add the vinegar, sugar, mustard, oil, and salt and pepper to taste. Bring to a boil, pour over spinach and toss. Serve. OK I know a while back I mentioned I had a BBQ rub and sauce recipe that I was trying to perfect. I am not so sure I would call it perfect but I think it is pretty close to what I was aiming for. My son took leftovers to work and he said one of the guys there just about choked on the bone because he ate it too fast! Let me back track a bit on the reason I became so determined to create my own recipe for the rub and sauce. In my experience I had found rubs that were too salty and sauces that were too sweet. I knew I wanted a balance of between a Kansas City-Style BBQ with it’s molasses and a North Carolina-Style BBQ with it’s nice tangy vinegar bite. It became a bit of an obsession with me for a while. I can’t tell you how many pounds of BBQ chicken and ribs we have eaten while I tweak the rub this way or twist the sauce that way. Below is the chicken recipe. I will post the rib recipe in the next week or so since I am craving them just typing this up! Combine all ingredients for the dry rub in a small bowl. Rub the chicken generously on both sides and wrap in plastic wrap. Let marinate in refrigerator at least 8 hours, preferably overnight. I save any leftover rub in a ziplock and store in a cool dry place. That way it is ready to go for you when you cook the next batch. 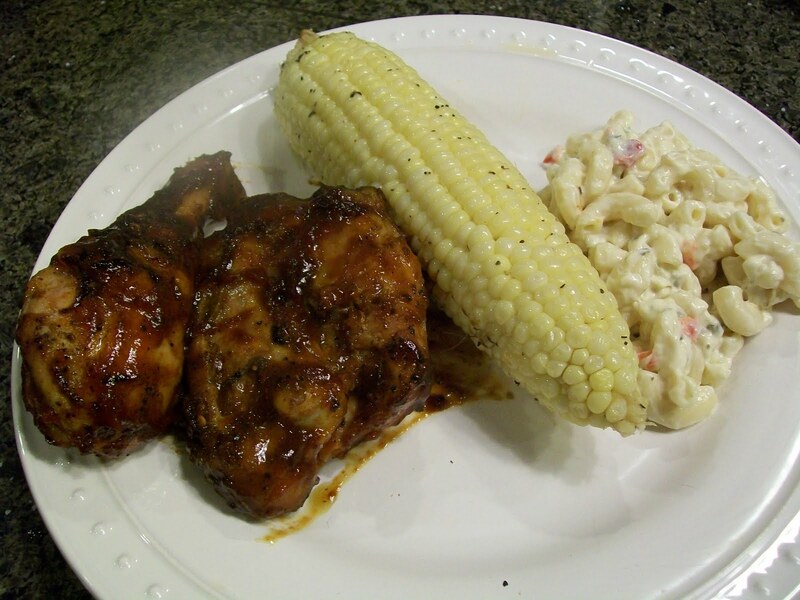 Cooking times for chicken will vary depending on grill type and what parts you are cooking. Baste chicken with the BBQ sauce for the last 20 minutes of cooking time. I promise I will get better at picture taking. This picture just doesn’t do the chicken justice. Hi everyone, I hope you all had a happy and safe 4th of July weekend. We had a lot food, friends, fireworks, and fun! I wish had taken pictures. I was a bad bad blogger. How can I not have a camera with me? I am hanging my head in shame. What I do have for you is a twofer. Whats a twofer you ask? Well it is my attempt at being funny while I also bribe you to forget about my bad blogging habits with two recipes for the price of one. Well…..you get the recipes for free no matter how many I post at once…..OK so my attempt at being witty failed miserably …….moving on now! I have lived in Washington state for about 5 years now but my heart still is in California. I lived there most of my life and I loved everything about the beach, sunshine, and weather. Living there I of course learned to love Mexican food. Hence last months 3 taco recipes. If I can put it into a burrito, taco, or enchilada I am a happy camper. I also was spoiled by having avocados ripe and tasty year round. For these recipes I took my love for all of those things and came up with a Cali/Mexican meal for your taste buds. I hope you like it! I wanted the rice spicy but instead of just adding peppers for spice, I wanted to add extra flavor by roasting them. So I heated up the grill and oiled up my peppers and roasted away. 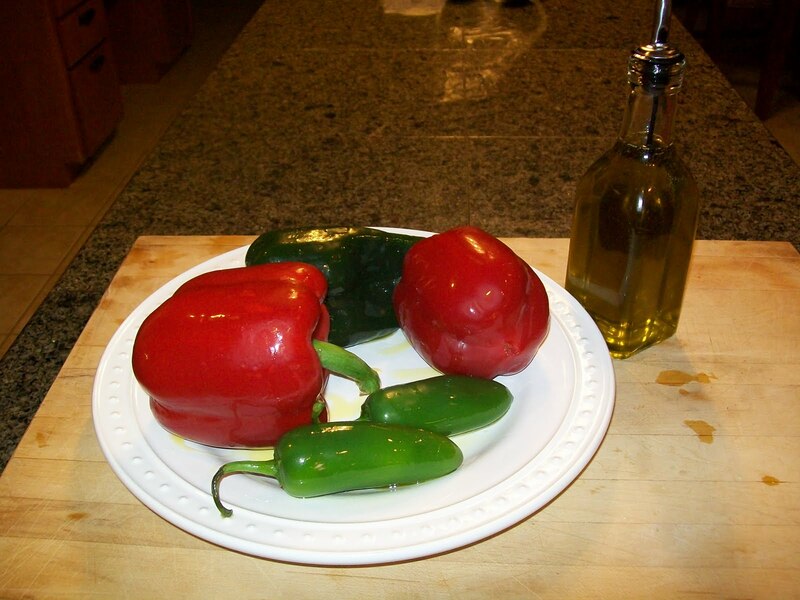 I chose red bell, poblano, and jalapeno peppers for my dish, but you can chose whatever blend of peppers you want to add or reduce the heat to your level. Once they were roasted, peeled, and chopped, into the rice they went along with the other ingredients. 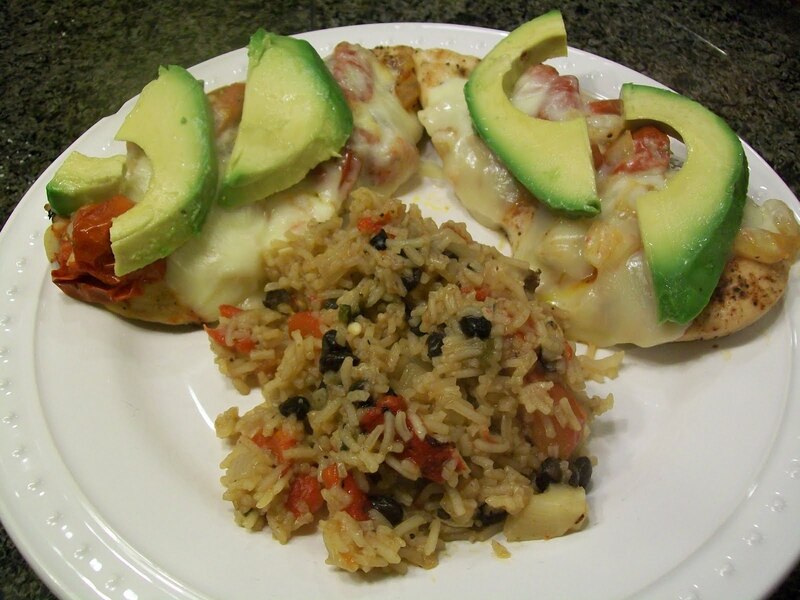 For the chicken I used breasts and sliced them in half and topped them with tomatoes, cheese, and avocado. Popped them into the oven so they got nice and melty. On to the plate they went with the spicy Spanish rice, and TADAAAA. California style yumminess on a plate! Dress avocado slices with salt and the lime juice, set aside. Mix onion powder, cumin, chili powder, garlic powder, salt and pepper together in a bowl. Rub chicken breasts with the mixture. Set chicken aside. Preheat a large nonstick skillet over medium heat. Add 1 tablespoon olive oil to skillet and the chopped onion. Saute onion for about 5 minutes then add the grape tomatoes, cook for another 5 minutes until the tomatoes begin to burst. Transfer the cooked onion and tomatoes to a bowl and reserve. Return the skillet to the medium high heat and add the other tablespoon of olive oil. Cook the chicken for about 3 minutes per side, just so it is browned and almost cooked through. 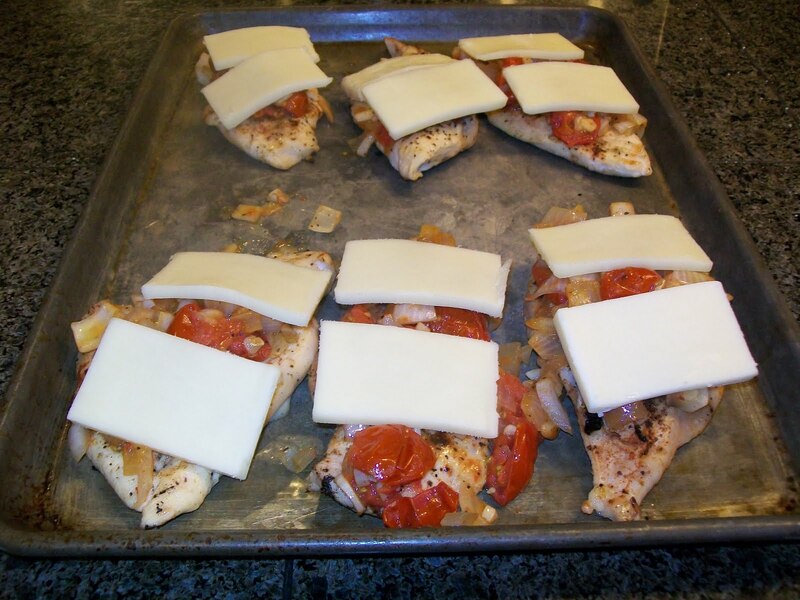 Remove chicken to a baking sheet. 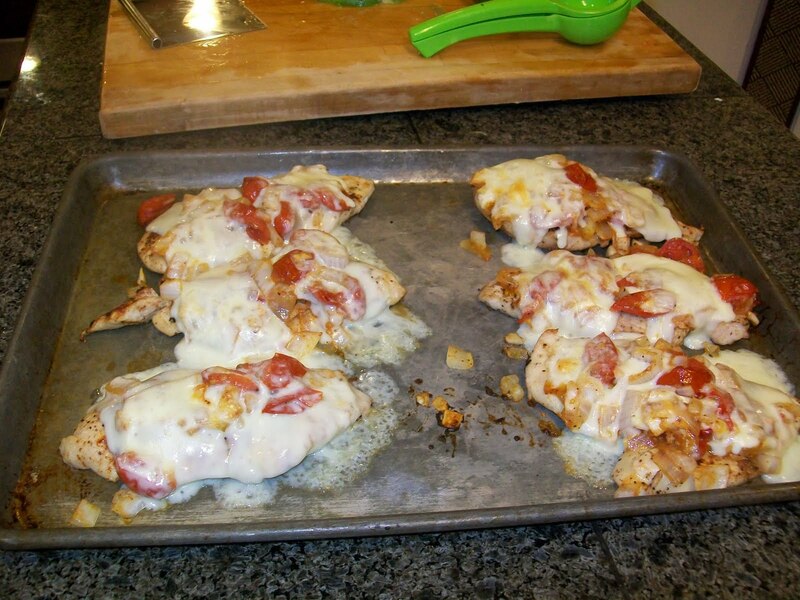 Top chicken with reserved onions and tomatoes and then with two slices of the cheese. Place in 350 oven for 10 to 15 minutes, until cheese melts. Remove from oven. Top each piece of chicken with 2 slices of avocado, serve. Coat peppers with 1 tablespoon of canola oil and place on the grill or under the broiler, turning frequently until the peppers blister and char. Remove from heat as they finish, the smaller peppers will finish first. As the peppers finish charring remove them to a bowl. Once all of the peppers are done, cover the bowl with plastic wrap and set the peppers aside to cool. Once peppers have cooled remove the skin and seeds and dice. Set aside. In a large dutch oven, heat the remaining tablespoon of oil over medium-high heat. Add the onion. Saute until just starting to caramelize, about 10 to 15 minutes. Season with salt, cayenne, and black pepper. Stir in garlic and the rice and saute for 3 to 4 minutes. Add the chicken stock, cover and bring the rice mixture to a boil. Once it boils reduce heat to medium-low and cook for 10 minutes. Stir in roasted peppers, black beans, and tomatoes. Cook until the rice is tender about 8 more minutes. Remove from heat and stir in the chopped cilantro leaves. Adjust seasoning if necessary. Transfer to a serving bowl and serve.